Attention Groups: Know Before You Go! Our “Calvary” has the best evacuation protection along with top of the line emergency medical coverage. Unlike most of our competition, the “Calvary” can evacuate you ALL THE WAY HOME plus provides more than 2 dozen other travel insurance benefits. The administrator Redpoint Resolutions covers nearly 10 million travelers worldwide and has rescued clients from all seven continents. 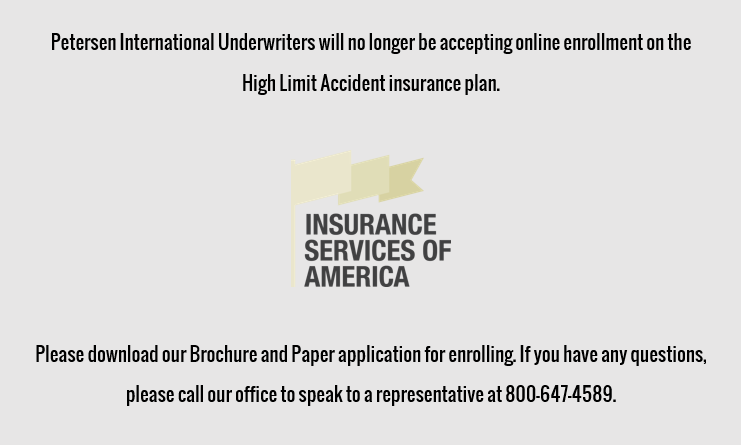 US Citizens or legal residents traveling inside or outside the US wanting high end benefits in travel insurance. Eligible for ages 0-90 years old. Calvary Travel Insurance is available in all states. Calvary Travel Insurance is underwritten by State National Insurance Company, Inc. It is administered by Redpoint Resolutions, who cover nearly 10 million travelers worldwide and has rescued clients from all seven continents. Specifically designed for the budget minded traveler. Feel confident that while traveling, the claims administrator Redpoint Resolutions covers nearly 10 million travelers worldwide and has rescued clients from all seven continents. US Citizens and legal residents are eligible to purchase the Harbor Travel trip cancellation, medical, and emergency medical evacuation for travel inside and outside of the US. Harbor Travel is available in all states. Harbor Travel is underwritten by State National Insurance Company, Inc., It is administered by Redpoint Resolutions, who cover nearly 10 million travelers worldwide and has rescued client from all seven continents. Traveling or living overseas can have it’s dangers. For example, the biggest cause of death for US citizens traveling or living overseas is automobile accidents. Plus many countries where our clients travel present a higher risk of danger due to adverse living conditions, terrorism or war. Protect your family 24/7 by purchasing our affordable accident death protection whether it’s for only a few days or a few years. Simplified issue with NO medical underwriting! Personal or Business Travel – Domestic or International. War Zone coverage – Most life insurance companies will not cover individuals that travel to War Zones or who have recently traveled to War Zone, with the High Limit Accident policy we have no problem providing coverage to them in these high risk areas. Contractors in War Zone who need to provide coverage to their employees. Security Guards in War Zones who need personal coverage. Hazardous occupations such as Logging, Roughneck, Fisherman, Pilots and many more. High Limits – $50,000,000 or more. Can be tailored to include: war & terrorism, aviation, common carrier, motor racing, mountain climbing, and more! High Limit Accidental Death Insurance is available in all states except: Colorado, Connecticut, Montana and Rhode Island. Excluded states and countries are subject to change; please contact us at (800) 647-4589 for an up-to-date list. High Limit Accidental Death Insurance is underwritten by certain underwriters at Lloyd’s of London, the world’s oldest and largest insurance market. This statement says it all, "We thought we were going to die...$372.00 was the best investment I ever made." - Ripcord Client, Jerry R. - Evacuated from Mount Everest. Our Ripcord Travel Protection program is tailored for the adventurer whether the adventure takes you inside or outside the USA. Feel confident that while traveling, the claims administrator, Redpoint Resolutions, covers nearly 10 million travelers worldwide and has rescued clients from all seven continents. US Citizens and legal residents are eligible to purchase the Ripcord Rescue Travel trip cancellation, medical, emergency medical evacuation, security evacuation and rescue for travel inside and outside of the US. Ripcord Rescue Travel is available in all states. Ripcord Rescue Travel is underwritten by State National Insurance Company, Inc. It is administered by Redpoint Resolutions, who cover nearly 10 million travelers worldwide and has rescued clients from all seven continents. The Round Trip Economy is the base level of our RoundTrip Series. Affordable trip cancellation, trip delay, medical, emergency evacuation and lost or stolen luggage benefits. For US citizens and legal residents only. US citizens and legal residents purchasing the plan while within the US are eligible under RoundTrip Economy. RoundTrip Economy is not available in the following states: FL, NY, PA, and HI. RoundTrip Economy is underwritten by United States Fire Insurance Company. The Round Trip Elite is the highest level of our RoundTrip Series. Affordable trip cancellation, trip delay, medical, emergency evacuation and lost or stolen luggage benefits. For US citizens and legal residents only. US citizens and legal residents purchasing the plan while within the US are eligible under RoundTrip Elite. RoundTrip Elite is eligible in all US states, except: FL, NY, PA, and HI. The plan does not cover travel to or from the following countries: Balkans Sanctions, Belarus Sanctions, Burma Sanctions, Cote d’Ivoire (Ivory Coast), Cuba Sanctions, Democratic Republic of Congo Sanctions, Iran Sanctions, Iraq Sanctions, Liberia Sanctions, North Korea Sanctions, Palestinian Authority Sanctions, Sudan Sanctions, Syria Sanctions, and Zimbabwe Sanctions. Excluded states and countries are subject to change; please contact us at (800) 647-4589 or 01 (480) 821-9052 for an up-to-date list. RoundTrip Elite is underwritten by United States Fire Insurance Company. If you can’t find what you’re looking for or have questions about travel insurance, please call (800) 647-4589 or 01 (480) 821-9052; or ask a Client Advisor and we’ll be in touch soon. This was a snap! I applied online and 24 hours later I was approved and had my insurance docs. You are a lifesaver. Thank you from the bottom of my wallet. – Jason F.